People once believed that the hormones released during pregnancy protected women’s mental health. This is no longer thought to be the case. Pregnancy is a time when some women are actually at greater risk of becoming depressed and/or anxious. Many people are aware of depression after birth (postpartum depression), but depression and/or anxiety during pregnancy are also very real conditions. Feeling sad, negative, anxious or angry can be very difficult. Yet 1 out of every 5 women will have these feelings. Take care of their mental health before and during pregnancy. 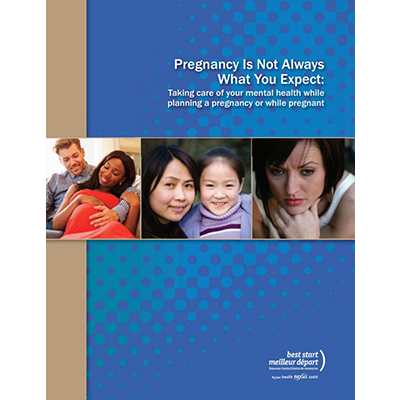 Understand the risk factors that can lead to depression or anxiety during pregnancy. Know if they are depressed or anxious during pregnancy.